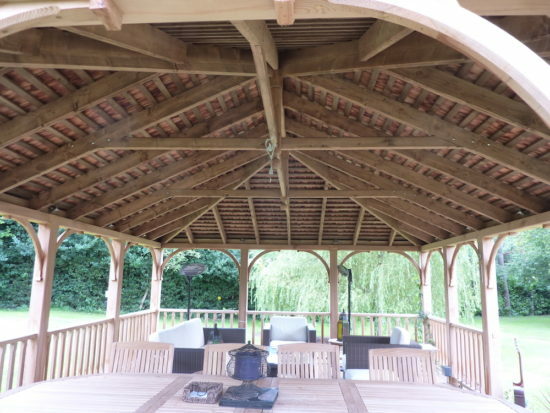 A single skin roof, like the one shown is simply stunning and a popular choice amongst our customers. 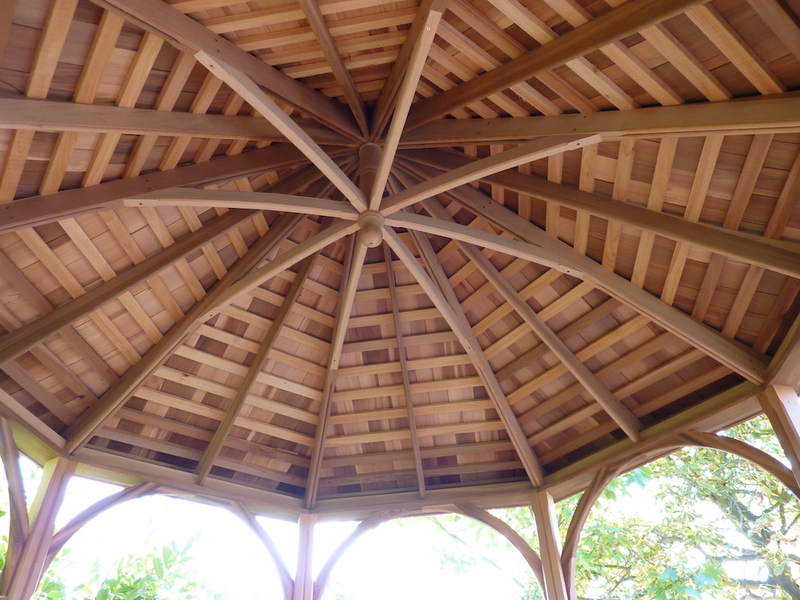 The roof allows you to see the beauty of the shingle roof from the interior. The design technique we use for a shingle roof ensures there will be no leaks (drips or pools of water to the interior). However, this roof type will show weathering on the interior. As the shingles take in water from the outside changes to the colour will be seen from the interior over time.